Students and faculty are leading a newly energized push to freeze CUNY and SUNY tuition by having their voices heard by legislators and state officials. The Hunter branch of the New York Public Interest Research Group has requested local delegation meetings with representatives of the district that Hunter College is in, including with state Senator Liz Krueger and Assemblyman Dan Quart. Earlier this month, students met with Quart’s constituent liaison, Victoria Hinojosa, to urge for more investment in CUNY and also share their personal stories about how rising tuition has led to many financial difficulties for them. The overall outcome of the meeting is still unclear, but organizers felt confident that their concerns were heard. He tried to explain to Hinojosa just what it’s like to get through the financial burden of school. 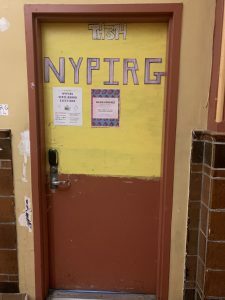 “In general, everyone just struggles with things like paying for a monthly MetroCard to get to school, paying for books, paying for food on campus. These are things that go along with going to a public institution but are not talked about enough,” said Ipock. From its inception in 1847 until 1976, CUNY was free for qualifying students — New York City residents whose families made less than $125,000 a year. Since 1976, however, CUNY has depended on a constantly shifting balance of state, city and tuition funds to operate. Over the years the state’s contribution has steadily decreased, tipping more of the financial burden to its 270,000 degree-seeking students in the form of rising tuition costs. In April, Brooklyn Council Member Inez Barron proposed ways to eliminate tuition at CUNY in a City Council bill. This bill would establish a temporary task force that would examine ways to make CUNY more affordable and come up with recommendations. According to the city’s Independent Budget Office, tuition revenue currently accounts for 45 percent CUNY’s funding, which has risen steadily since 1976. Tuition for full-time students at four-year CUNY colleges is currently $6,730 per year and $4,800 per year at community colleges. CUNY has historically been viewed as a stepping stone for economically disadvantaged New Yorkers, especially those from communities of color. reductions in library hours and unmanageable caseloads for counselors and advisors are now common throughout SUNY and CUNY. The “TAP Gap” is the growing difference between TAP funding for students and actual tuition costs. Before 2011, low-income SUNY and CUNY students would have their tuition costs covered in full by TAP, with colleges receiving adequate TAP payments to help cover costs for hiring new staff, funding libraries and investing in student support services. The gap between what the state pays for TAP at SUNY and CUNY and the actual cost of tuition at SUNY and CUNY has left colleges with a $139 million total shortfall in funding statewide. To break all of this down: TAP awards students up to $5,000 and the actual cost of tuition is $6,870 for SUNY and $6,730 for CUNY. As this gap continues to grow, closing the TAP Gap is a priority for faculty, staff and students of both university systems. “I think Hunter is such a great institution and more should be coming from the state to support the work that students, faculty and staff do,” said Hunter journalism professor Adam Glenn. Students and faculty hope to make their way to Albany again and push their concerns to legislators about the cost of tuition and other funding programs. 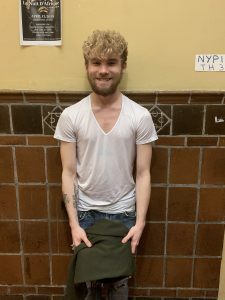 Author: Brittney Barnett Brittney Barnett is a senior at Hunter College and will graduate in May 2019 with a bachelor’s degree in media studies. She previously interned at CUNY TV and currently works at ABC on the Upper West Side as a sports intern. She hopes to have a career in broadcast journalism, whether it be in radio or television, and her dream is to work in either the sports or entertainment field for a major news network.